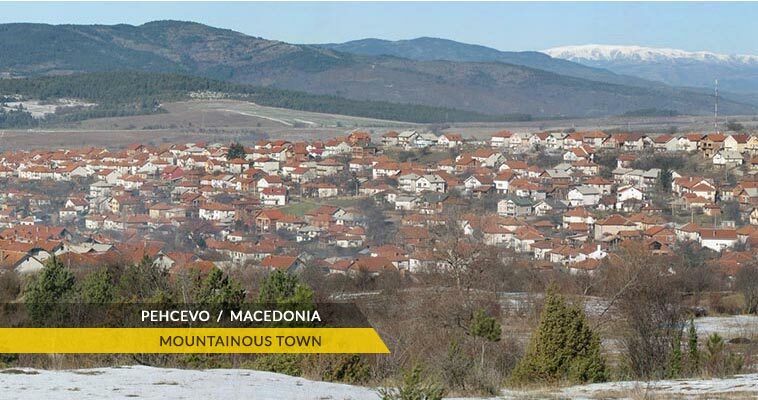 Pehcevo is probably the smallest town in Republic of Macedonia. It's seat of Pehcevo municipality. According to the 2002 census, Pehcevo had 3,237 inhabitants. Pehcevo lies on the Malesevo mountain, near Berovo. The river Pisa flows in Pehcevo and divides on two parts. Pehcevo is known for it's Malesevo white cheese and the Bukovik area that is rich with ore.